Softness: Default: 1, Range: 0.01 or greater. The softness of the edges between color regions.  Increasing this parameter will create a smoother gradient, while decreasing it will create sharper edges and more well-defined colors. Softness Falloff: Default: 0, Range: 0 or greater. Reduces the softness as the distance from the control points increases. Higher values will create more well-defined color regions near the edges of the image, while lower values will cause the colors to blend together more. Point 1 Enable: Check-box, Default: on. Color 1: Default rgb: [1 0 0]. The color at Point 1. Point 1: X & Y, Default: screen lower left. First control point. This parameter can be adjusted using the Point 1 Widget. Softness 1: Default: 1, Range: 0.1 or greater. The relative softness of color 1. Size 1: Default: 1, Range: 0.1 or greater. Scales the size of the color centered at Point 1. Color 2: Default rgb: [0 1 0]. The color at Point 2. Point 2: X & Y, Default: screen lower left. Second control point. This parameter can be adjusted using the Point 2 Widget. Softness 2: Default: 1, Range: 0.1 or greater. The relative softness of color 2. Size 2: Default: 1, Range: 0.1 or greater. Scales the size of the color centered at Point 2. Color 3: Default rgb: [0 0 1]. The color at Point 3. Point 3: X & Y, Default: screen lower left. Third control point. This parameter can be adjusted using the Point 3 Widget. Softness 3: Default: 1, Range: 0.1 or greater. The relative softness of color 3. Size 3: Default: 1, Range: 0.1 or greater. Scales the size of the color centered at Point 3. Color 4: Default rgb: [1 1 1]. The color at Point 4. Point 4: X & Y, Default: screen lower left. Fourth control point. This parameter can be adjusted using the Point 4 Widget. Softness 4: Default: 1, Range: 0.1 or greater. The relative softness of color 4. Size 4: Default: 1, Range: 0.1 or greater. Scales the size of the color centered at Point 4. Point 5 Enable: Check-box, Default: off. Turns on or off the fifth control point. Color 5: Default rgb: [1 1 0]. The color at Point 5. Point 5: X & Y, Default: screen lower left. Fifth control point. This parameter can be adjusted using the Point 5 Widget. Softness 5: Default: 1, Range: 0.1 or greater. The relative softness of color 5. Size 5: Default: 1, Range: 0.1 or greater. Scales the size of the color centered at Point 5. Point 6 Enable: Check-box, Default: off. Turns on or off the sixth control point. Color 6: Default rgb: [0 1 1]. The color at Point 6. Point 6: X & Y, Default: screen lower left. Sixth control point. This parameter can be adjusted using the Point 6 Widget. Softness 6: Default: 1, Range: 0.1 or greater. The relative softness of color 6. Size 6: Default: 1, Range: 0.1 or greater. Scales the size of the color centered at Point 6.